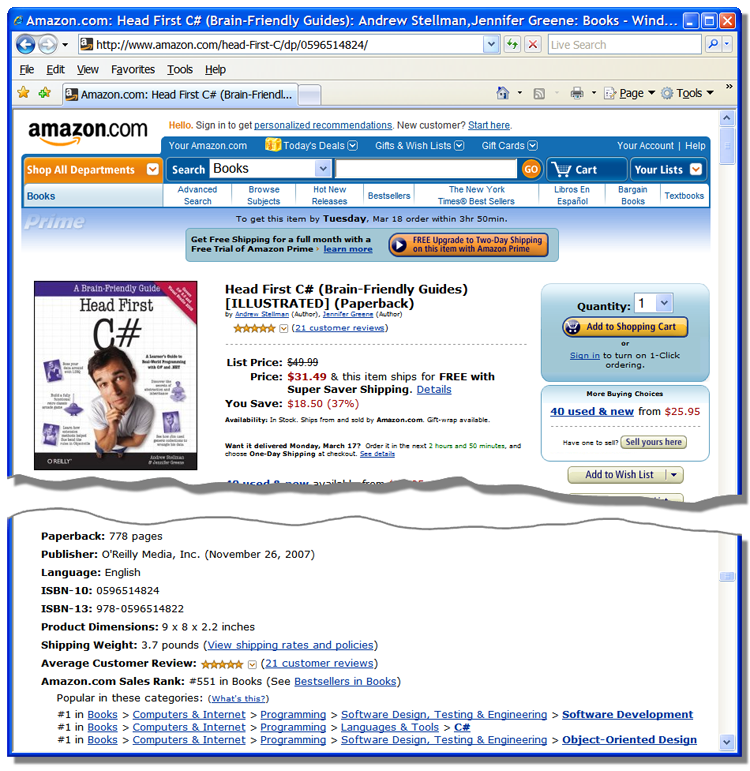 Head First C# – the top-selling C# book on Amazon! 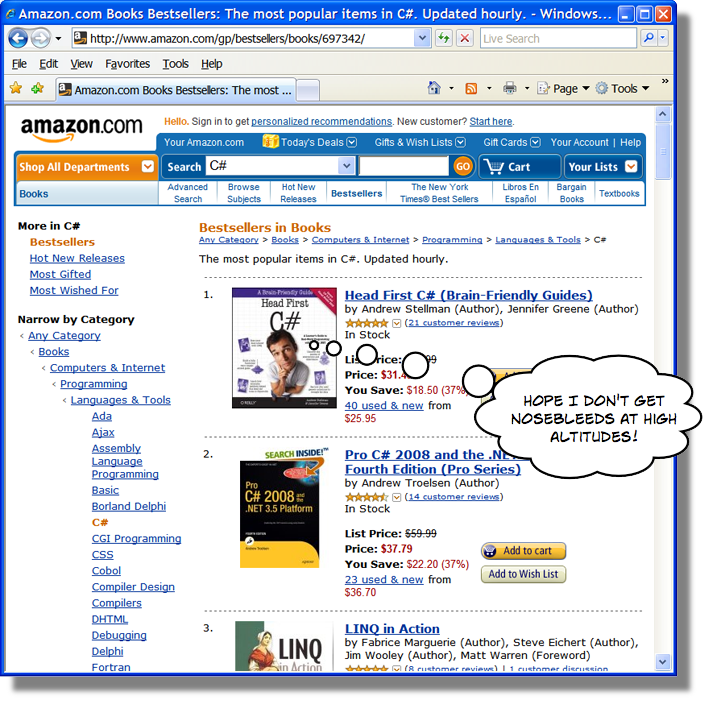 Remember back in January, when Tim O’Reilly blogged about great Bookscan numbers for Head First C#? Well, Bookscan numbers don’t always match what you see on Amazon.com. Our intrepid little book has been clawing its way up the Amazon.com sales ranks. It was in the #2 position on the C# bestseller list for the last month. But when I checked a few minutes ago, it was at the top of the list! This is a huge deal for us — it’s definitely a high-water mark for the book. And what’s really cool is that Head First C# is picking up steam. Its Amazon sales rank was under 500 all day yesterday, which means that it was one of the top 500 books sold by Amazon.com. (Not the top 500 tech books — the top 500 books.) Typically, books sell the most in the first few months, and Head First C# had a strong start out of the gate. But one of our friends at O’Reilly let us know a few days ago that we’re selling better than ever (when you discount the backorders that had to be filled, which always skew the first month’s results). And Head First PMP is picking up steam, too! It’s been holding onto the #2 spot for PMP exam prep books, and it’s really been gaining over the last few months. Now, Jenny and I aren’t all about sales. But we are all about helping people learn, and we see these numbers as a real win. < Previous Best readers ever!